last night i got to shoot the grand opening of the mondrian hotel. the night started out pretty horribly, because i lost my wallet on the way there. luckily someone picked it up and i got it back today, but i freaked out for a good hour, and on top of that, i've never experienced a rainstorm so violent, and by the time i got to the party i was soaking wet, because i lived way too close to take a taxi. but it got better quickly. 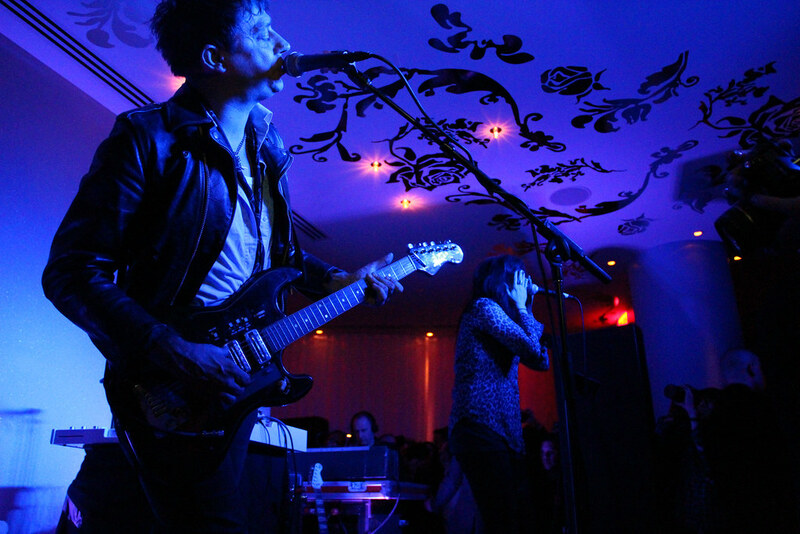 there was a special performance by the kills which made me love them even more, and now i'm even more excited to see them play again on saturday night! 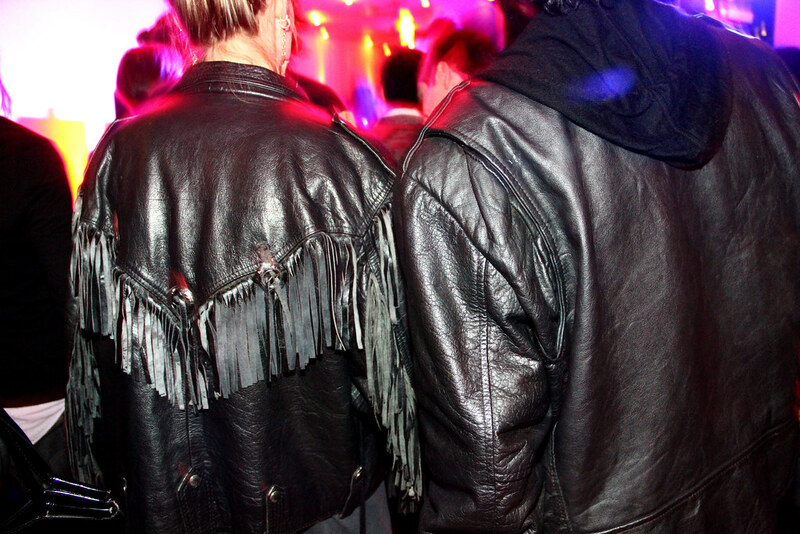 there were a lot of fun people at the party, and lots of cool grungy clothes. i love those studded boots, and that leather tassel jacket. 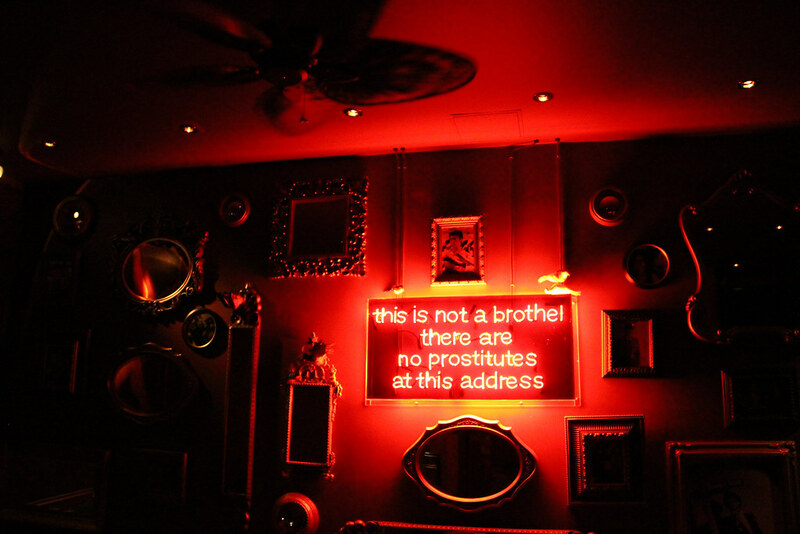 the afterparty was at Mr. H, which is part of the hotel, and which is where i took the photo of that amazing neon sign.